RSVP For Free Cover & Group Party Entry Before 12am! Book Your Free Birthday Packages With Us To Receive Free Cover & Discounted Bottles Service! 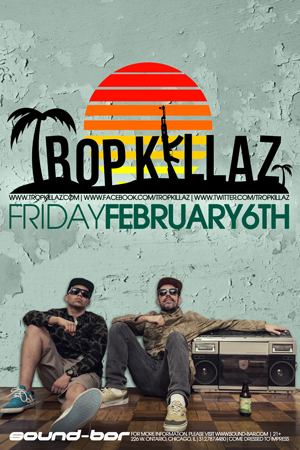 Tropkillaz returns to Sound-Bar on this first Friday in February. If you did not get a chance to see them last time they were in town after Lollapalooza, here is your chance. They do not disappoint!